A number of my clients have been warned by their fertility specialists that they’re running out of time, running out of eggs, or their eggs are too old. Some couples have even been told (and you may have heard this too) that they really should have started earlier instead of waiting so long before they tried to get pregnant. Ouch! Everywhere we turn we are told that our eggs “age.” However, there is evidence to the contrary. Have you heard of Randine Lewis, author of The Infertility Cure? She’s an OB and Acupuncturist who reports in her book that eggs don’t exactly age. Research at Harvard has shown that women may actually be regenerating eggs every month. The old adage of “you only have so many eggs” is being proven wrong. And we can do a lot to influence the health of our eggs as they develop their follicles. The human ovary begins maturing several follicles at one time. Only one egg (usually) is “chosen” to be released because it is the healthiest egg follicle of the bunch. Our body knows to release the egg that has the best chance of dividing, implanting, and developing into a baby. Bunches of egg follicles begin to migrate towards the area where they will be released almost an entire year before they actually will be released. This means that what we put into our bodies—and how we bring health to those ovaries and follicles—can affect our egg quality an entire year before ovulation. After ovulation, the egg lives only about 24 hours, but it takes a long time for that egg to mature first. An egg’s cycle of maturation before ovulation is around 90 days. That’s plenty of time for you to choose good nutrition, oxygenation, proper blood circulation, hormonal balance, stress reduction and a positive outlook for your ovaries. But even more than that, 90 days is plenty of time for you to adjust your egg age mindset. How you feel and what you believe really does affect your fertility. Your body is so intelligent it can create new life! Don’t allow limiting ideas like “your eggs are too old” to make you lose faith in this intelligence. 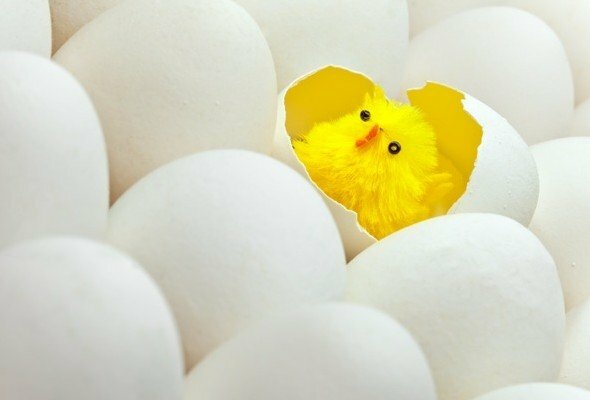 You need to believe you have “good eggs” within your beautiful little ovaries. Stress (like the kind that comes from limiting thoughts about the age of your eggs) can prevent ovulation or encourage the release of a premature egg. This means that consciously working to replace worry with positive-feeling thoughts can have a concrete physiological effect. If you feel like you’re getting too old or like you waited too long to conceive, you can take 8 minutes right now to meditate on timelessness (free download here). Most of us have an idea in our heads of when we should achieve the milestone moments of our lives. And when we don’t—especially when the importance of timing is emphasized by the experts all around us—it feels like we’ve failed. ==>> Drop into timelessness now. If you’ve noticed a connection between the moon and your cycle, or you want to take the stress off trying to conceive, meditating with the moon can help you relax deeply and align with your body’s innate wisdom. 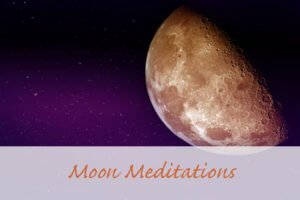 My series of Moon Meditations gives you a powerful guided visualization for each phase of your cycle. To take it even further…we have a more in-depth program to restore your fertility faith while healing your body and your heart. 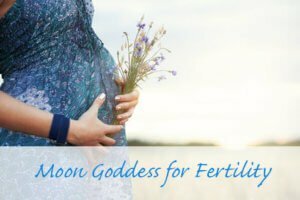 Moon Goddess is a 6-week fertility yoga and meditation program designed to heal your whole woman self: mind, body, and soul. I guide you step by step to shift not only your mindset but your heart…and from there, your womb. You’ll erase negative thinking, calm your stressed-out mind, and feel in partnership with your cycle instead of against it—while increasing your probability of pregnancy success by over 55%. You can restore faith in your body’s ability to conceive with Moon Goddess fertility yoga and meditation. Just like Lisa, Elizabeth, and Andrea—read their stories and be inspired. Get started today with one or more of these mindset shifters. Outdated warnings about the age of your eggs really will cease to matter! It’s amazing how little i know about my own feminine reproductive organs. I was surprised that my egg’s cycle of maturation is around 90 days. Thanks for sharing your knowledge Zahra! You’re so welcome Beth! Isn’t it empowering to know you have a good 90-days to positively effect your egg-health? I just love that our health is truly in our hands! Hi. I’ve been researching about turmeric as a healthy food. But I was worried of the effects of it in fertility because me and my husband were trying to conceive a baby. Will the turmeric doesn’t affect fertility? Thanks.